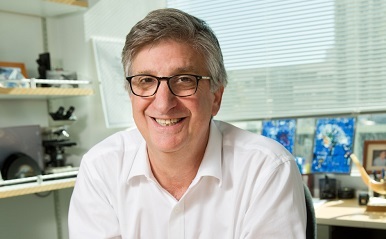 As a scientist and director of the Developmental Neurogenetics Program housed within CHLA's Institute for the Developing Mind, Dr. Levitt focuses on conducting and overseeing high-impact research that will translate into new discoveries about the mechanisms behind neurodevelopmental disorders -- and novel interventions for children. Research is a major driver that informs the way we treat patients. There is no endeavor more important than conducting scientific inquiry -- and giving scientists the resources to creatively explore the unknown in order to develop better treatments. Philanthropy is critical to bridging the financial gap that exists for medical centers conducting research. For those who wish to support Dr. Levitt and his team's work, we welcome your support. Current research projects include: utilizing advanced eye tracking and brain electroencephalogram technologies (EEG) for measuring attention to monitor healthy development, risk for neglect due to maternal depression, and resilience; monitoring the efficacy of a treatment called functional neuromotor activation techniques to help retrain the brain circuits that control sensory and motor functions; investigating the connection between gut flora -- known as the microbiome -- and the developing immune and brain systems; investigating best practices for gastrointestinal treatments while monitoring improvement in autism and GI symptoms; and mapping the development of neural connections between the brain and gastrointestinal system. Your thoughtful gift creates hope and builds healthier futures for the families of Southern California and far beyond. Thank you! For more information, please contact the Foundation at 323-361-1705 or email kseibly@chla.usc.edu to discuss the many options you have for giving - including estate and planned giving.